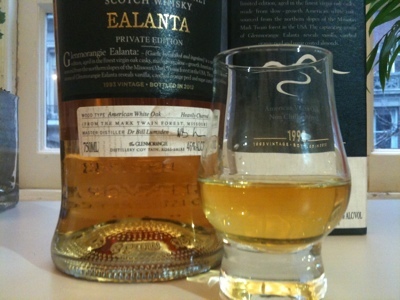 So, let's be clear: this is a blended malt (a vatting of single malt whiskies). Personally, I've been quietly exploring a range of single cask expressions from Yoichi, Miyagikyo, and a number of other Japanese distilleries and my love affair that started with Suntory has deepened considerably. I've been fortunate enough to taste Taketsuru 17 and 21 (reviews to follow - thanks David Alcock) and was quite ready to be extremely happy with the 12. 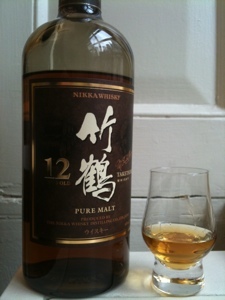 In NYC this is available at Park Ave. Liquors and Astor Wines (Astor also has the Yoichi 15). Nose: A rich and unctuous nose of floral rose and lilly, cloves, tropical fruits, and rich brown sugar cooking in a pan in bubbling butter. Deeper nosing detects traces of sherry and a distant whiff of smoke. I love this nose. Floral and fruit ester forward, but with bags of demerara caramel Brown Betty. 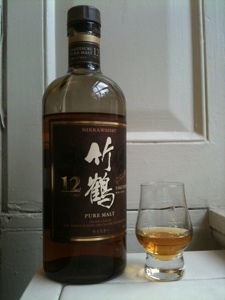 It's a classically Japanese whisky aroma. It smells like the old 1970s Suntory Old (but richer). It has a lot of the aromas of the more mature and expensive members of its line: Taketsuru 17 and 21 - but lighter and more estery. Demerara (richly flavored turbinado sugar) on entry. The mouth feel is rich; almost thick. A profusion of rosy florals, sherry cocoa notes, and some spicy heat on the mid-palate expansion. Then waxy fruity glow, expanding spice heat and a encroaching oaky bitter mark the turn. The finish is moderately short, but malty, lingeringly spicy, and gently sweet with cherry chocolate herbal bitters. Lingering august notes of cacao, cane sugar juice, and old oak bring a special majesty to the after taste. The flavors are wonderful. 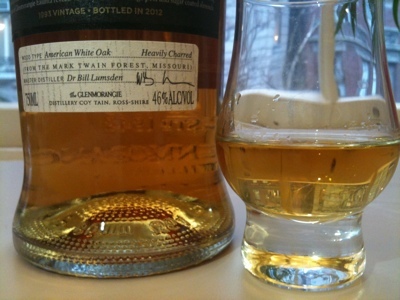 The only issues are that the flavor density can't quite do justice to the extraordinary nose. This is probably the number one issue with 12 year old malts generally. But the palate here waxes nicely with time. A drop of water takes things immediately in too light a direction. My conclusion is that this is bottled a touch too dilute at 40%. I would imagine that at 46% or even 43% this would be superb - and have room for the expansion of mouth feel and sugar a drop of water can bring. But at 40% it is borderline too light as it is and can't accept the addition of any more without becoming thin and losing intensity. My advice is to buy this when you see it (and lets pray they start bottling the 17 and 21 in 750ml for import by the US) and allow it a good half hour of breathing time to open fully - but don't add any water at all. There is more sherry and oak clove/cinnamon spice here than with Yamazaki 12 or Hibiki 12 (but a less floral sweetness). 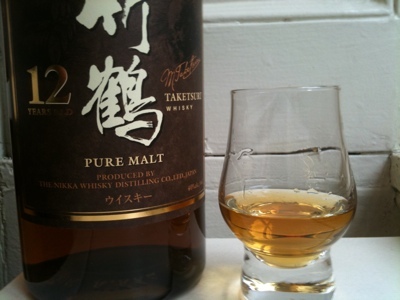 It's a lovely, rich, and beguiling flavor profile that is uniquely Nikka Taketsuru and classically Japanese. Its presence in the US market is water in the desert for fans of this wonderful flavor profile. Something about hardship sends me back to the warm comforts of America's native spirit. Hurricane Sandy's aftermath's weeks of powerless dark and cold required the careful administration of most of my remaining Wild Turkey Kentucky Spirit. My father is ailing and, when I last saw him I ended up surveying the cabinet with the question from so many Bardstown t-shirts on my lips: "Got Bourbon?" Soon I found myself returning from Ledger's (the East Bay's best whisky shop, hands down) with several examples calling themselves "Small Batch". Now, the term "Small Batch" is a made up marketing term in the bourbon world with no legal status in the US. The term attempts to designate a carefully curated selection of barrels. 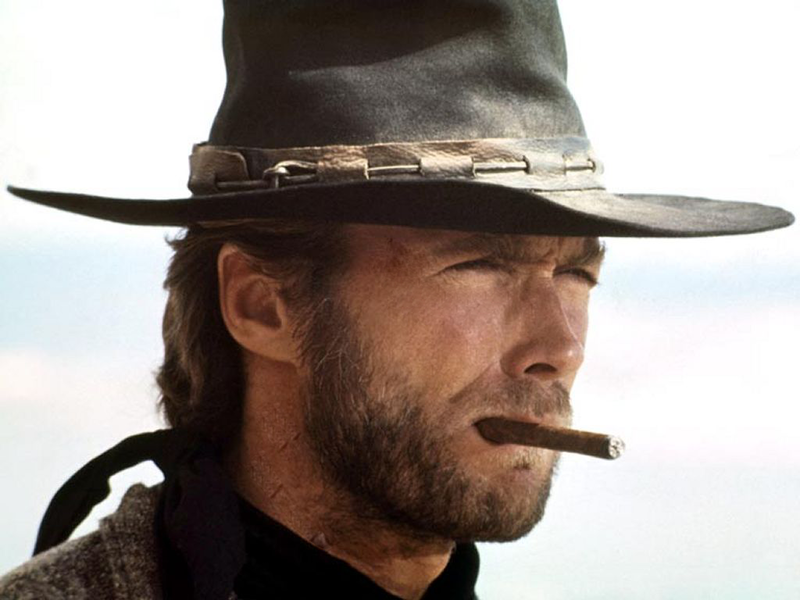 Batched, vatted, to achieve a consistent signature - but (it is hoped to convey) with a measure of that selective discrimination that single barrel products enjoy. In the realm of bourbon brokers, who get spirits from more than one distillery, small batch can be a way to make a distinctive, brand-able product. This is the case for popular small batch IB bourbons such as KBD's Noah's Mill and Rowan's Creek. They vat 12 casks together to make each small batch (the number of casks determined by the size of the marrying tun) - and no one knows the true provenance (at least not publicly). KDB and brands like Michter's sell brokered single barrel whisky - but also small batch versions that let them barrel average to get a consistent product that has the story of a carefully curated product. At Four Roses, the two mash bills and five strains of yeast give Rutledge & Co. a real reason for a small batch: to combine the various flavor signatures of their various recipes to craft a commoned-up flavor signature. Many small distilleries, such as craft & start ups, call their products "small batch" - but it's a bit of a joke because their entire run isn't anything but. Yet the term has an allure - so it is widely used. EllenJ: "It has always been my understanding that Freddy Noe has been credited with inventing the small batch marketing concept for Beam's small batch collection of; Booker's, Baker's, Knob Creek, & Basil Hayden's. The batch refers to the number of barrels selected that meet the flavor profile for bottling and not to the number of barrels distilled from any given amount of fermentation going into the stills." Chuck Cowdery: "As for "Small Batch," no one had used the term before Beam introduced the "Small Batch Bourbons Collection" in 1988 or 89. I was doing work for them at the time, including on the SBBC itself, and asked what it meant. They said it referred to the selection of a small number of barrels for a bottling batch. There was never a specific number. ... The reality is that "small batch" means whatever the producer who puts those words on a label wants it to mean, or nothing at all. It means somebody thought the product would sell better if it had the words "small batch" on it." Gillmang "I agree with everything people have said and would only add, that "batch distillation" has another, narrower meaning of pot still vs. continuous (column) still operation." I love the last bit about how small batch implies batched pot still distillation - in the face of the reality that most bourbon is run continuously on column stills. The term is vague, and perhaps a bit misleading - but we all understand the gist. Some barrel averaging is happening, but also some deliberate barrel selection. I'm fascinated by the issue of barrel averaging versus single cask in a broader and almost philosophical sense. In astronomy and photography, image stacking is a powerful tool that reveals hidden details by taking many average images and assembling them together to get a whole greater than the sum of its parts as brief moments of clear seeing accumulate. Digitally averaged faces appear more attractive than the average individual's face in studies of what people find attractive in ways that are a bit mysterious but have to do with the allure of perfect medians and the averaging out of individual's flaws. In the whisky world barrel averaging and blending is done on a variety of levels for a variety of reasons. Averaging lends uniformity which yields consistency - a sterling goal for branding. No one wants a branded labelled product to vary; sometimes good, sometimes less so. Different colors, variations in flavor from batch to batch are reminders of hand craft - stigmatized as backward and amateurish in the rise of an industrial economy that promised products with consistency and interchangeability. In this context, big Canadian whisky distilleries, for example, will dump upwards of 50,000 liters in specially made giant marrying tuns to conquer batch variations and make a spot on consistent product. But, while averaged faces trump the average individual' face in attractiveness studies, real humans are individuals with asymmetries and defects that mark actual phenotypes and the signs of a life lived. Truly attractive people mix classic beauty and these marks of individuality and this goes for casks of whisky too. The independent bottlers live for single cask offerings with something distinctive. An IB's reputation stands on it's ability to pick winning casks. In the bourbon world, since Blanton's, single cask offerings signify 'special hand picked casks'. Single barrel offerings have batch variation to be sure - but represent, generally speaking, the best the distillery has to offer. 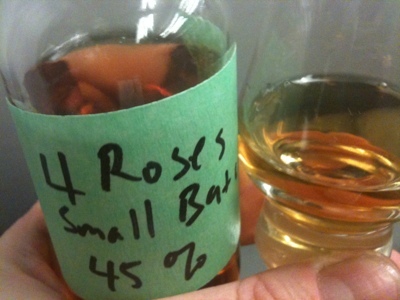 "Small Batch" is meant to indicate an intermediate level of quality between single barrel and cheap, younger, massed offerings. Indeed, that is how most of them are priced. The question for me in this head to head tasting (which took place on a plane coming back from my Dad's) is whether the beauty of averaging is shining here - or whether the step down in barrel quality is apparent. Nose: gentle acetone, floral notes of roses and daisies. Beneath this sweet and gentle corn ester quality lives the classic aromas of bourbon which mixes honeyed orange pith, stewed peach, apricot and musk. Deeper, there is gentle char. On the whole, pleasant but light. Lightly honeyed apricot citrus caramel sweet on entry, with plenty of spirity bite. There some floral esters and solventy sweet as the midpalate expands with sandalwood and peppery herbal spice. There are plenty of herbal rye flavors from the high-rye mash bill components and a good measure of the fruity estery notes of the high corn mash bill component. The turn to the finish sees the effusive apricot-floral meets herbal spice turn to licorice bitters with a faint malty glow. There not a lot of oak in the back end and the finish is rather gentle and a tad brief. 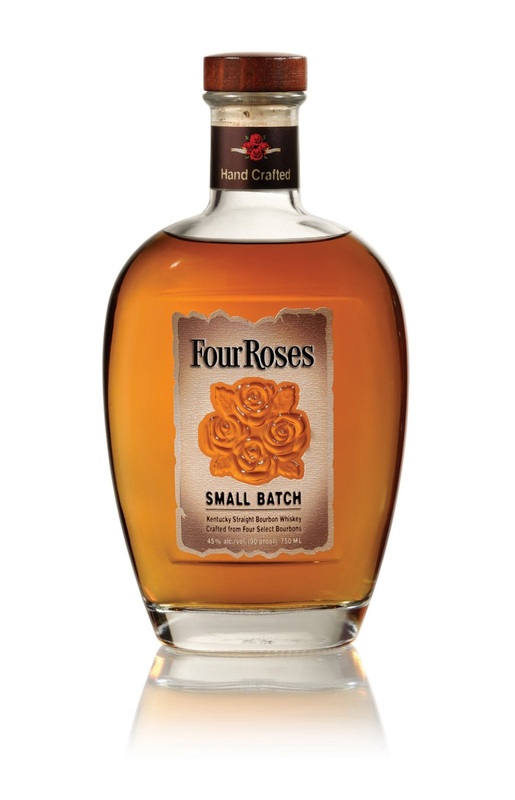 It's all the flavors I love from the bigger Four Roses expressions, but with less density of flavor and more spirit heat. 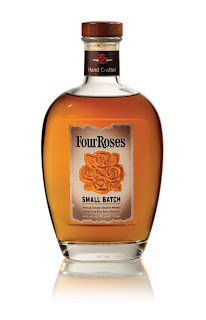 It comes off as a younger and less august version of Four Roses Single Barrel. 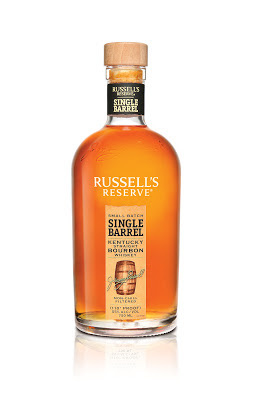 Nice - and not a hardship to sip by any means, but not a grand slam when the Single Barrel is about $9 more. (The small batch is $26 at Shopper's Vineyard and Single Barrel is $37) Maybe the $9 will be worth it for you - but not for me. At the $26 price point I prefer Elijah Craig 12. But I grant this is quite competitive. 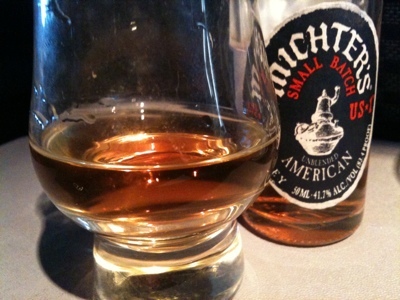 I've had some lovely single cask Michter's - particularly the rye. But I had been meaning to try this less expensive bourbon (although it's the most expensive of this trio). Full disclosure, I've been a bit sore at Michter's for using the name of the venerable distillery without actually being a distillery at all - a topic treated at some length in Chuck Cowdery's excellent and highly recommended book The Best Bourbon You'll Never Taste. But I'll try to keep these feelings on the shelf and just focus on the contents of the glass. There are, somewhat confusingly, two "US-1" whiskies at the same roughly $43 price point: a white labelled "Bourbon" and this blue labelled "American Whisky". 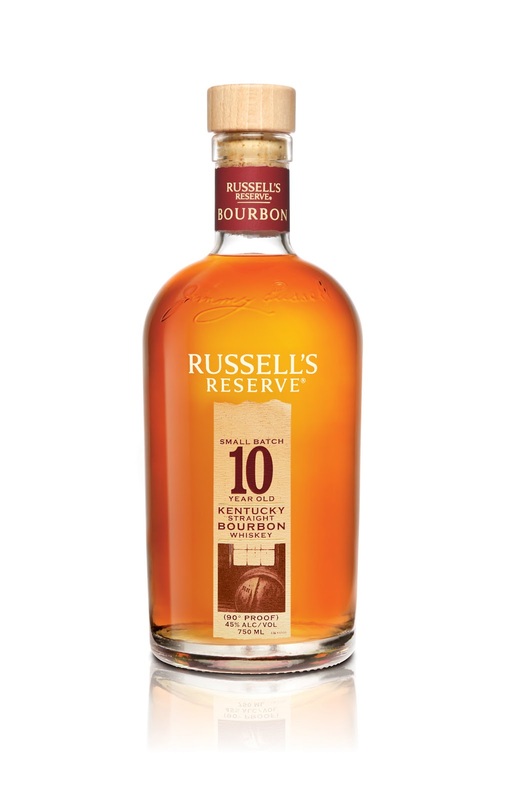 The difference is that this isn't legally bourbon because it was aged in, at least partially, used barrels, rather than just new. Given Scotch's extensive use of ex-Bourbon barrels with excellent results I have no bone to pick with this - just curiousity. 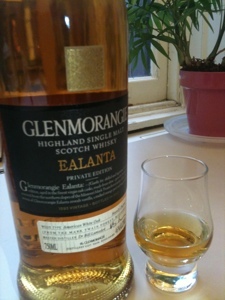 Nose: Solventy pine scented vegetal oaky perfumed. An odd skunky note I have come to associate with small barrel matured craft whisky. Underneath a pointed sweetness melding into corm peach citrus bourbon goodness. Fruity, skunky, oaky. An interesting nose. Sweet, with prickly heat and a paradoxical soft water feel on the tongue. Oaky with a sawn lumber aspect reinforces the craft small barrel feel. Minty at the turn with a nice floral solventy aspect carrying through. This is nice whisky but comes off as s little young, a bit dilute, and perhaps has something done to enhance wood influence. 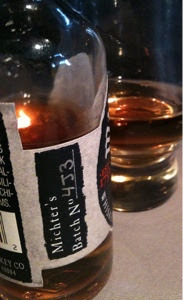 Yet, bottom line, an interesting sippable bourbon that holds my interest and is certainly enjoyable drinking neat. $43 at Shopper's Vineyard. I've noticed this powerful kiln-dried wood flavor before in some craft spirits. I wonder if Michter's is re-barreling vattings of mixed barrels back into their empties and then aging for a bit to up the wood influence. I have no idea, but the flavor profile gave me that impression. Cowdery praises the John Fitzgerald story for actually being true (unlike a lot of bourbon marketing tales). My issue with it is that nothing about Fitzgerald being a good judge of cask quality has anything at all to do with this particular whiskey. But it does put out the impression that there is barrel selection of some time going on. And maybe that's so. Nose: Brown sugar, honey toffee corn mash oak. Citrus ester floral and light solvent. Very nice nose. A few drops of water amp the fruity notes (apricot, peach) and hints of cinnamon and mineral dust. Juicy. Complex. Interesting. Powdered sugar - cane & corn. Flowery. Then a vegetal aspect of spicy herbals that reads of rye - but clearly isn't. The herbals dominate in the finish, which has aspects of herbal bitters. 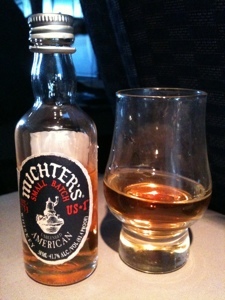 Solid tasty bourbon. A drop of water softens the attack but sweetens the whole presentation and adds a whiff of cinnamon red hots while keeping the herbal finish. Very nice. This was all perfume and candy and spice. I was instantly smitten. A find! $33 a bottle locally (NYC). Maybe it really is a "very special" small batch. I'm not a "wheater" guy normally - particularly inexpensive wheaters. 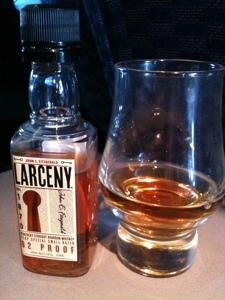 But in this tasting, the Larceny won hands down. On the whole, however, this group isn't overly impressive. Knob Creek remains my favorite small batch.